But you probably know other people that are able to generate thousands of shares, comments and tons of traffic with every post they publish. Do they know some content writing secrets? What Makes People Engage With Your Content? Publishing valuable, educational content is one of the keys to engagement and converting your leads online. Give your users the answers they are searching for. Make it easy for them to digest your information. According to Harvard Business Review, brands that make it easy for consumers to gather and understand information are 86% more likely to get a sale. If you do nothing else, add an image to your post. A relevant image will increase your views by 94 percent when compared to articles without an image. By nature we are visual people. Visuals are memorable and effective. It will help your readers understand and retain the information you are delivering. The infographic is specifically about how you can engage your readers, your prospects and customers to take action. These 21 actionable tips will make your educational content more attractive, shareable and ‘clickable”. 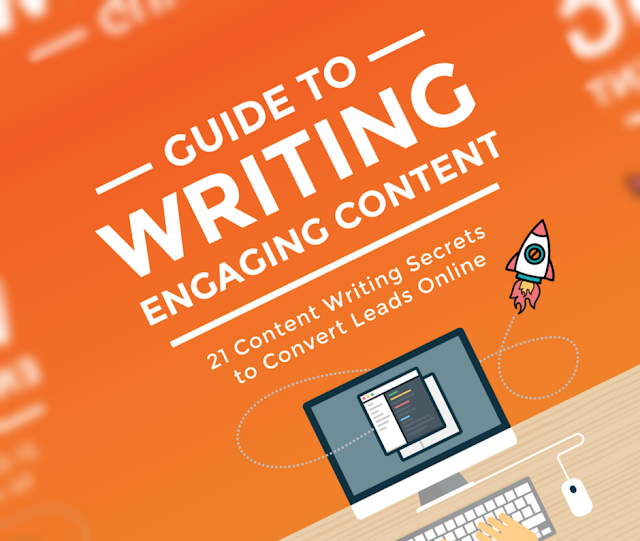 The infographic will show you how to implement your next content writing with ease.